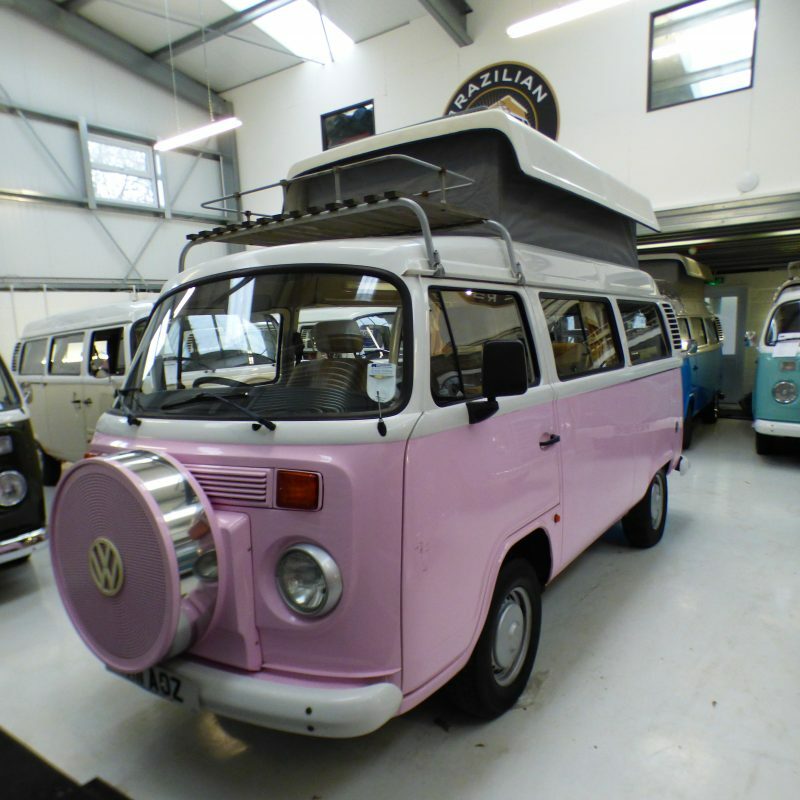 You’d be tickled pink in this low mileage 2011 VW DANBURY RIO with power steering. 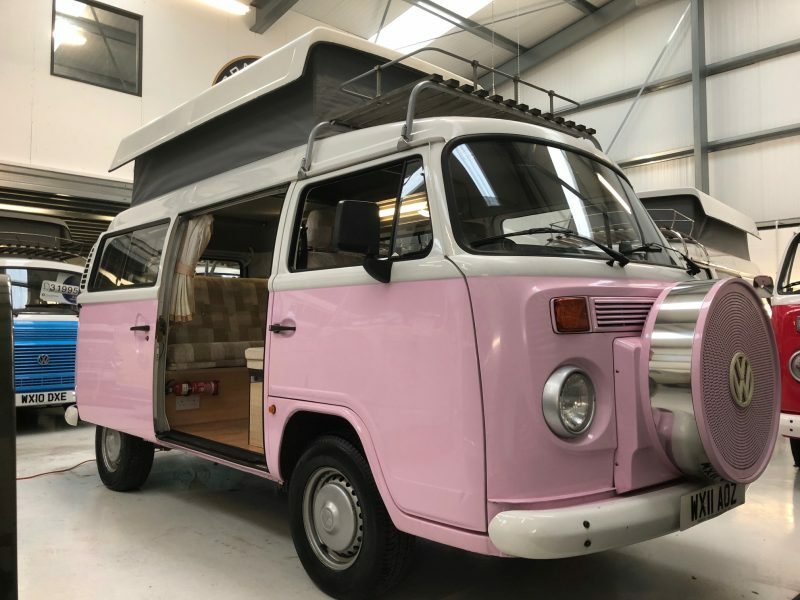 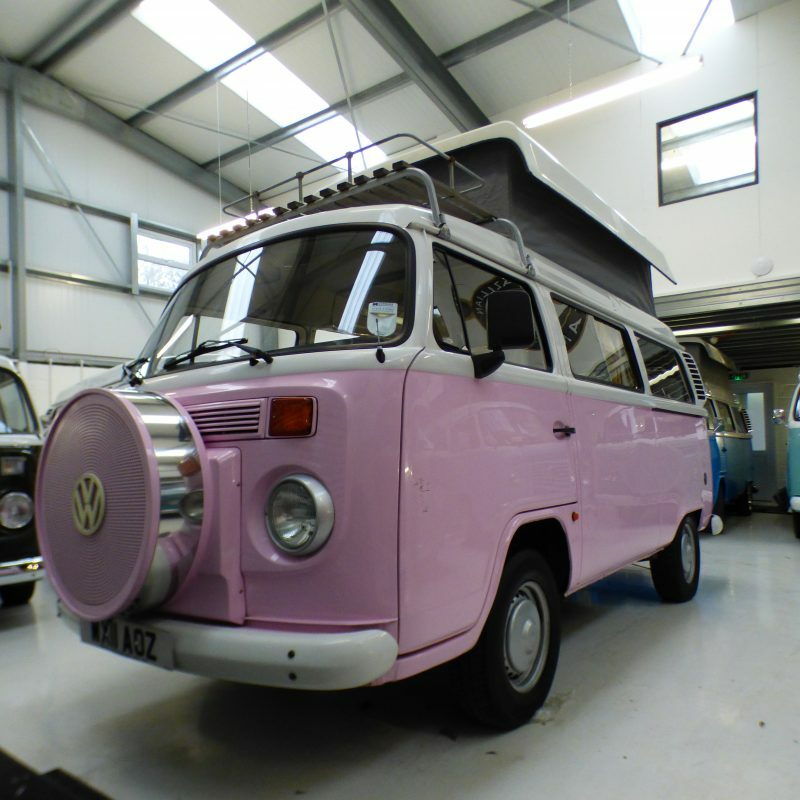 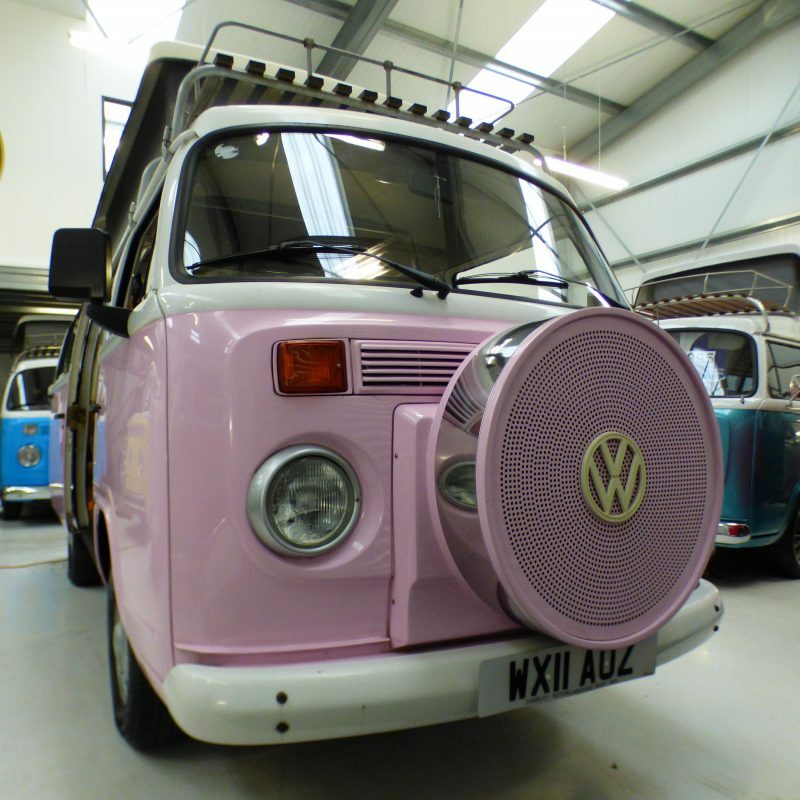 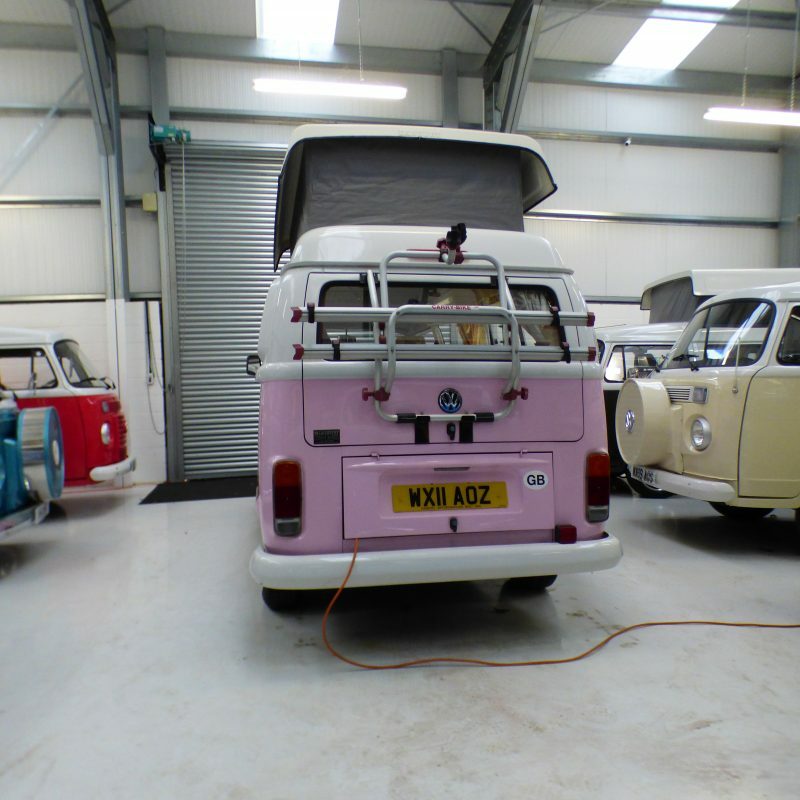 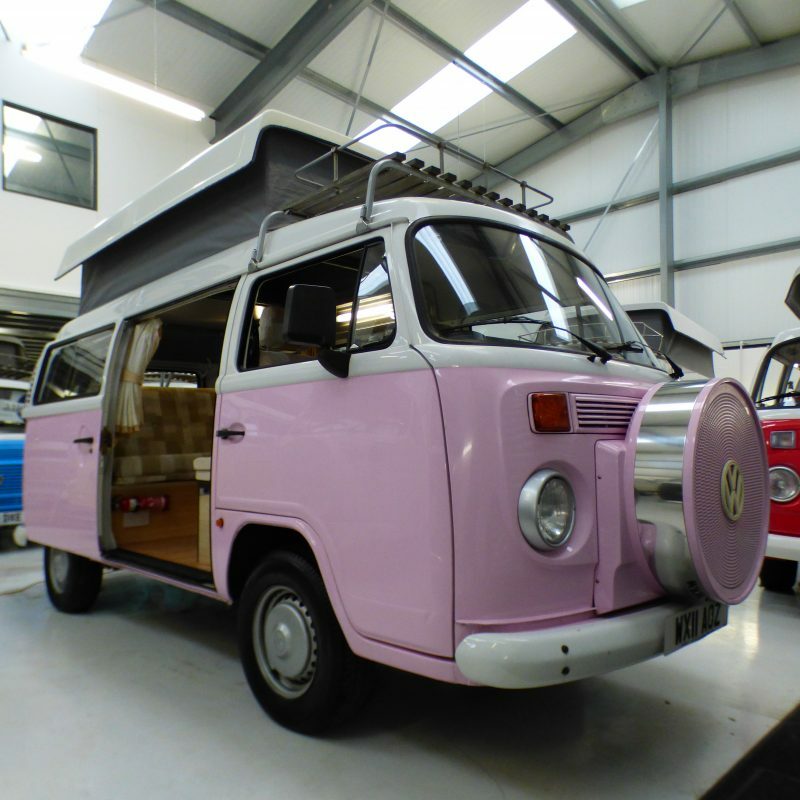 With its bright pink under white paintwork, this saucy camper comes with a colour coded dummy spare cover, cab roof rack, contrasting cloth interior, matching buddy box and tailgate bike rack. 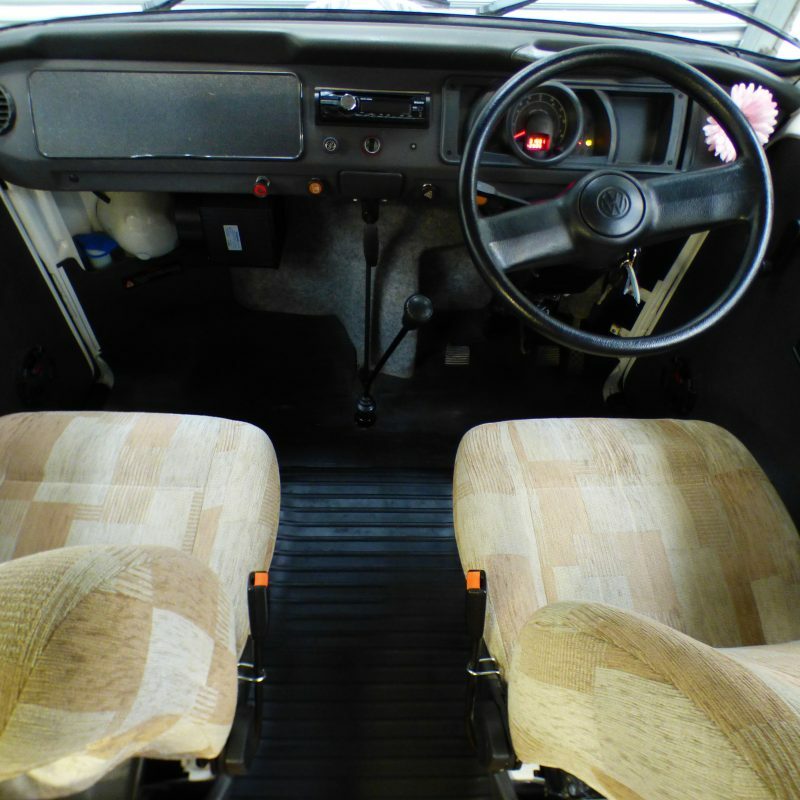 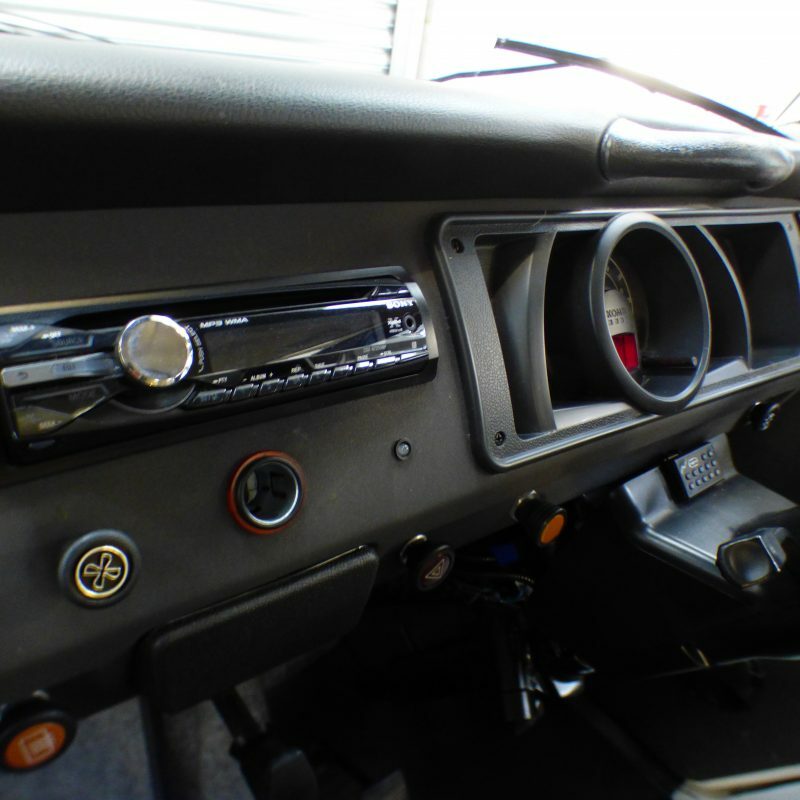 This Kombi carries 4 comfortably with 3 point seatbelts up front, 1 3 point belt on the offside rear and a lap belt to the nearside. 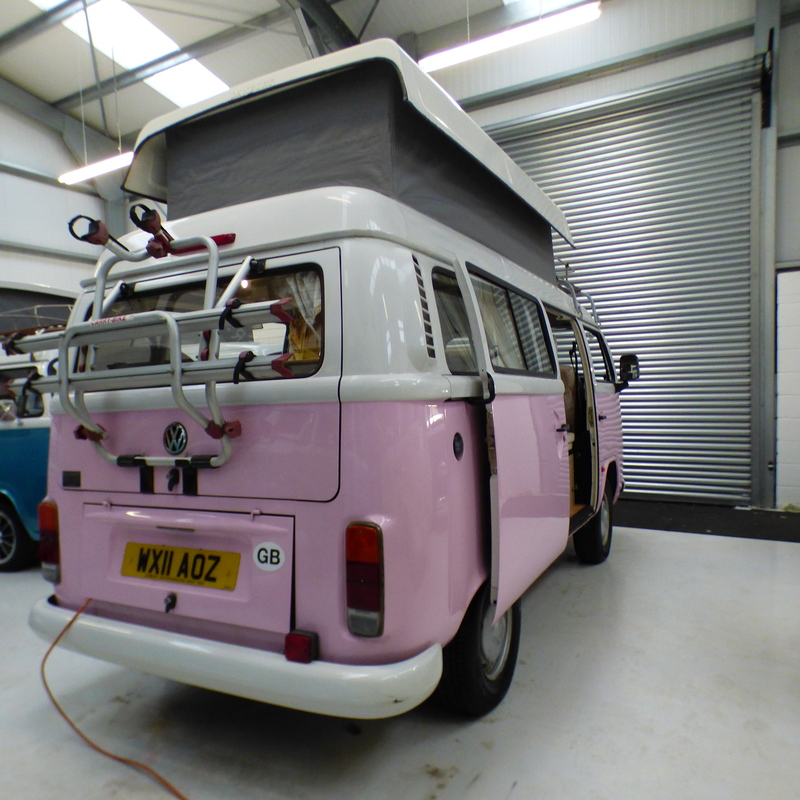 Raising the pop top turns it into a 4 berth camper – 2 up, 2 down. 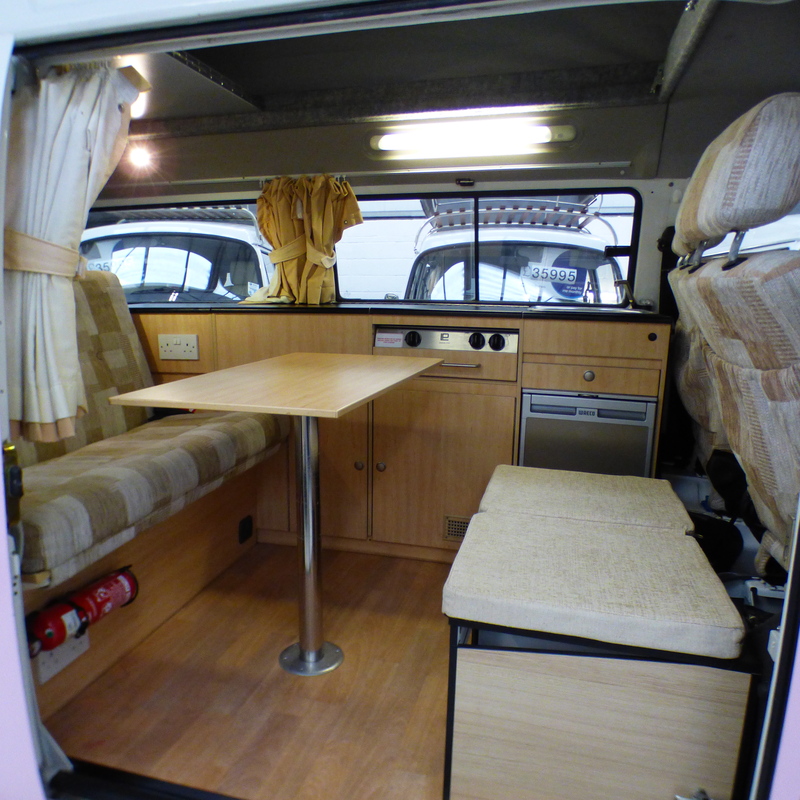 The matching buddy seat enables 4 to sit at the table inside the camper. 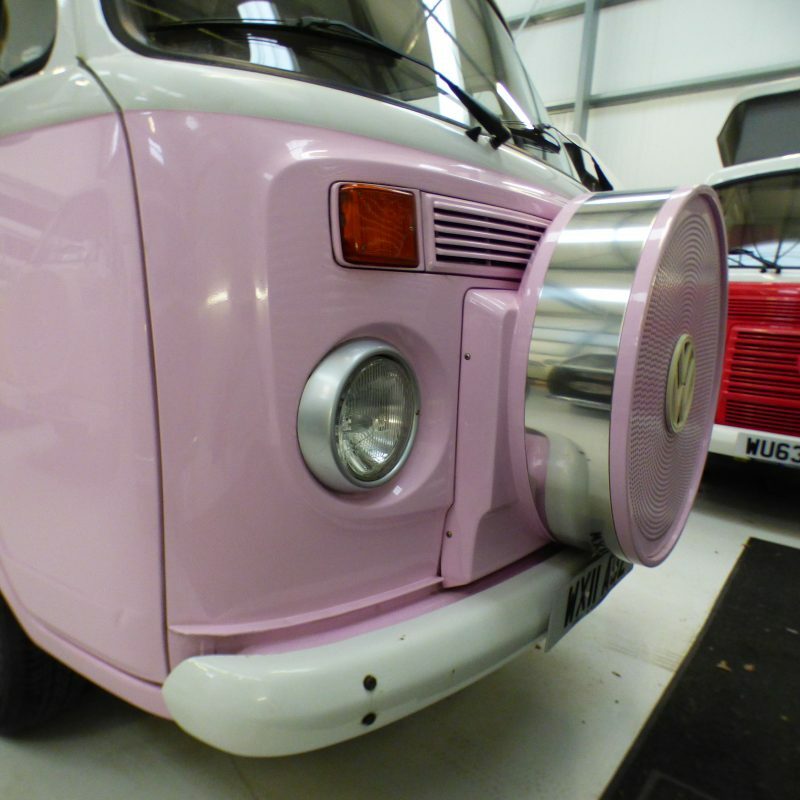 We can fit another 3 point seat belt to the rear if required. 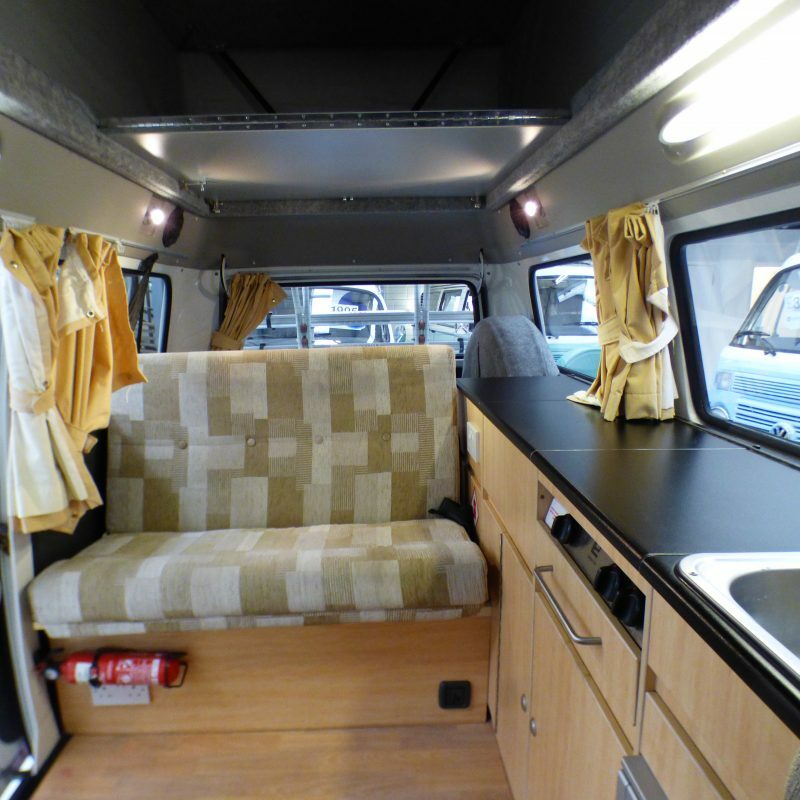 The camper has excellent storage options with full-length units down the nearside, within the buddy box and under the folding 3/4 width bed. 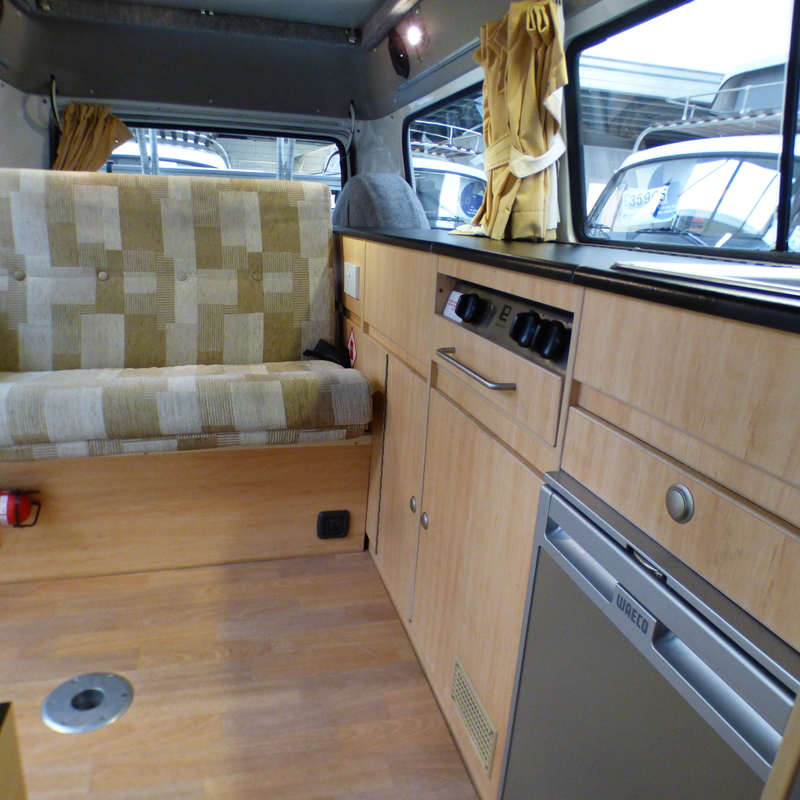 The spare wheel is stored behind the rear seat on the nearside. 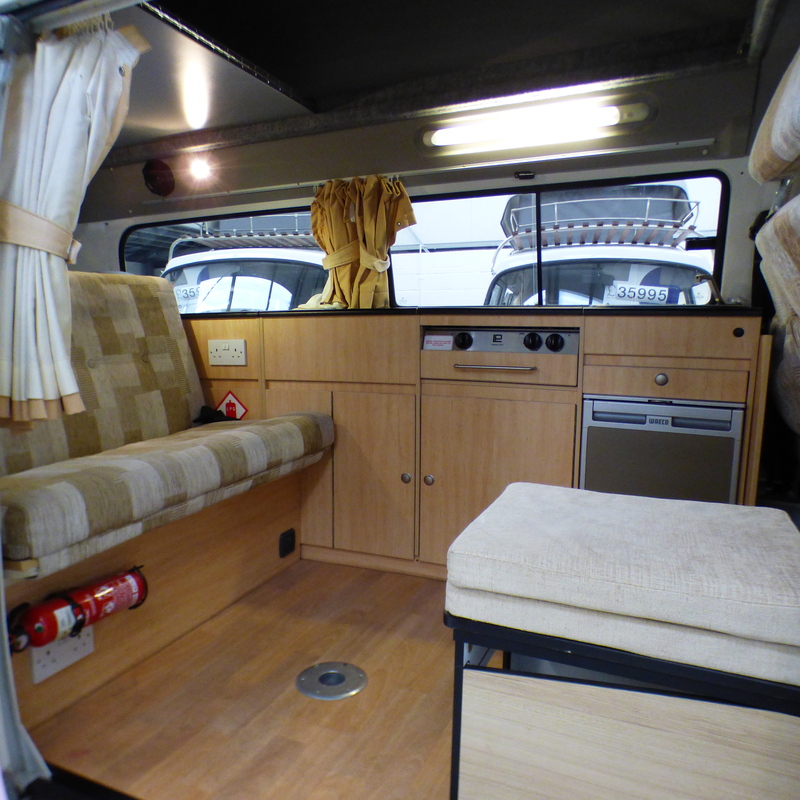 Upper bed boards and mattress. 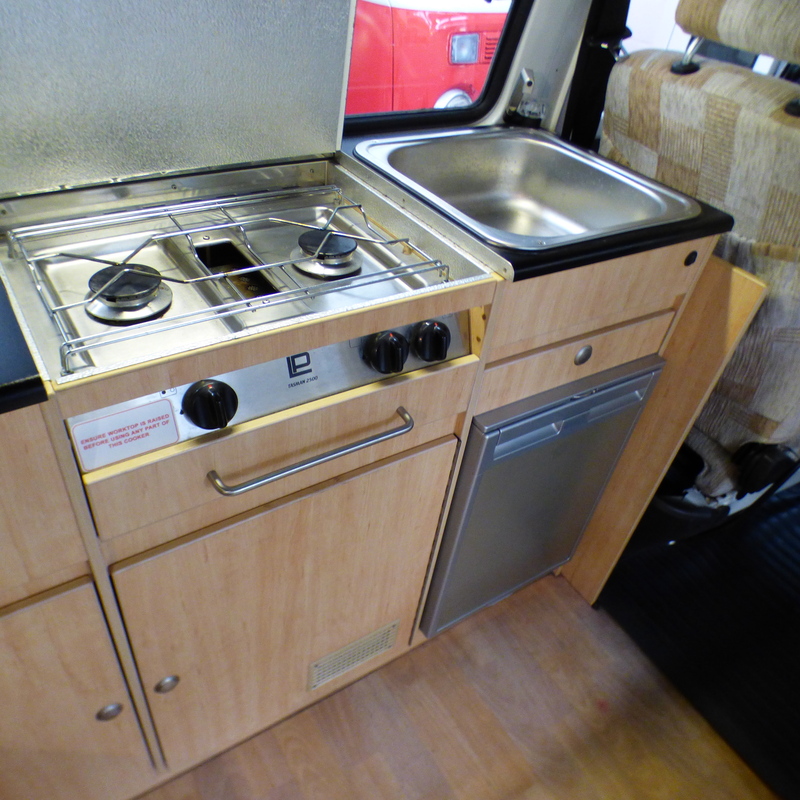 Removable table with pedestal fixing. 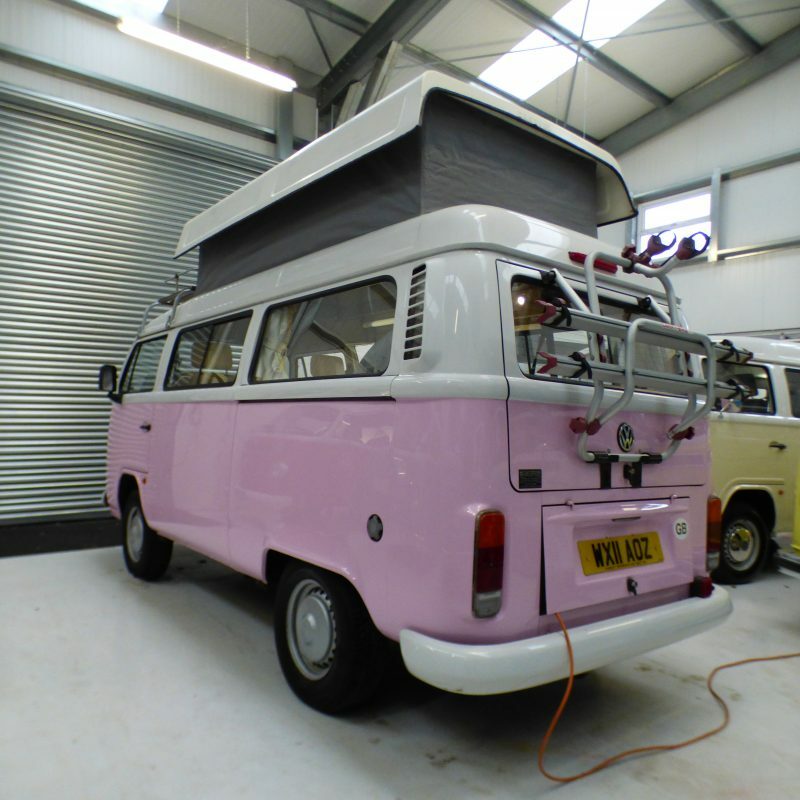 Every camper we sell goes through a PDI check, a full valet, is serviced, comes with a new MOT and a 3-month warranty.